As I reflect on my recent mission trip to Puerto Rico with my She Who Walks sisters I am truly blessed to have had the experience. I’ve been Puerto Rico before but this time actually connecting with the locals and seeing the destruction of the country first hand from hurricane Maria as it still remains was a very humbling experience. We teamed with NECHAMA Jewish Response to Disaster to help rebuild Puerto Rico and what a reward it was! This even goes to show though we have different religions both teams had ONE goal….to spread LOVE to the residents of Puerto Rico. From serving to enjoying my now sister friends as we explored and enjoyed PR I can honestly say my soul has been renewed and my heart is FULL!! I feel like a completely different person because of this trip. Thank you Tara Cotton and S Tiki Jones for organizing this amazing experience. I’m forever grateful! 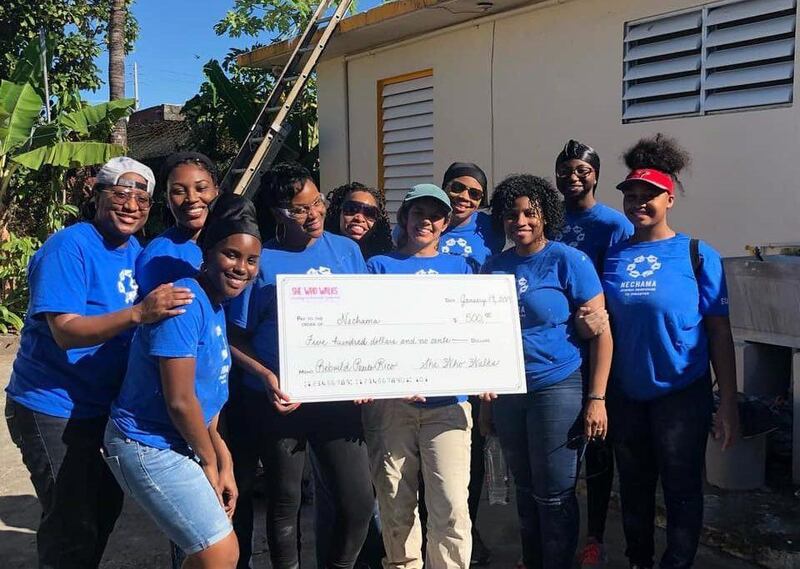 ❤️ And thank you to all who donated to She Who Walks… because of you we were able to give a donation to Nechama to continue to serve as well as to perform random acts of kindness to the residents of Puerto Rico!